Arizona is a hot state. With that reason alone explains why having a proper roof ventilation is a must. The purpose for roof ventilation is to reduce the amount of heat in the summer and moisture in the winter. It helps the heating and cooling systems be more efficient. Arizona may be brutally hot during the long summer, but it can also get really cold. With our experience, we’ve seen how improper ventilation can cause. As roofing contractors, we have identified five risks of failed roof ventilation. Depedending where you live in the state the Arizona, you home may or may not have an attic. The attic is what suffers the most when it come to improper roof ventilation. The ventilation is the lungs for your house to breath, it allows your home to breath. If the ventilation is failing during the summer, the attic is receiving excessive heat. Excessive heat is basically drying up the roof. Imagine, going for a hike in Arizona in the middle of the summer, and you did not take any water. Then, breathing in air is harder until you faint. It’s a similar process that your home goes through, or your attic. Have you ever had mold growth in your attic, or on the ceiling? Ever wonder how it develop? The mold growth is due to the poor ventilation during the winter. Since mold requires a warm, moisture environment to grow, your attic is the best room. In the winter, you have the heater on, which makes your home warm. But, since your ventilation is inadequate, the attic is exposed to the cold. Mixing the warm and cold, it creates a humid environment. From that, it allows the mold to grow. To avoid mold growth, have a roofing contractor inspect the condition of your roof and ventilation before and after the winter. In addition to mold growth in the winter, frost on sheathing and rafters is also a common indicator of a poor ventilation. A way to identify frost on sheathing and rafters is to look at the ceiling of your attic. It will look like someone is poking in from the outside. Or, icicles are forming within the ceiling. The cold is a factor that forms the first, but it starts with air leaks. That means that the roof has a hole, maybe the size of an penny. However, the frost does not do the damage, it’s the water. Since the attic is also getting heat, the frost melts. As a puddle is forming on the attic’s floor, it is slowly creating a leak into your living room, hallway or kitchen. Again, have a roofing contractor inspected the condition of the roof. A minor roof repair in Waddell may be required to fix the air leak. Have you ever looked up at your ceiling and noticed a roof leak? You take a closer look, and notice a metal pointy thing dripping water? That metal pionty thing is the tip of a nail. Which indicate that it’s not a roof leak. The last time that you have your roof repaired, a nail protruded through the roof decking. It doesn’t necessary means the the roof itself has a hole or a leak. The nail is simply allowing the water to flow through the deck. If you spot a tip of a nail on your ceiling, contact a roofing contractor in Waddell to conduct an inspection. Since the heating and cooling systems are working overtime in the summer/winter, the higher the energy bills are going to be. It may be keeping your home cool during the summers, and warm in the winters. However, if the ventilation is lacking, your attic or roof deck are going to suffer severe damages. If you want to decrease the changes of roof/attic damages, think about the roof vents. Roof vents will help the system. Exhaust vents let air out, and intake vents lets new air come in. Basically the vents are how the house breaths in and out air. This might sound like it will influence the heating and cooling systmes to use more energy, but the purpose is to have the temperature of the house consistent. Plus, it will eliminate the probability of a room temperature being humid. Having an adequate ventilation is tough. A homeowner may never know if the ventilation is competent. 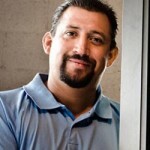 Arizona Roof Rescue offers free consultation to inspect the condition of the roof. 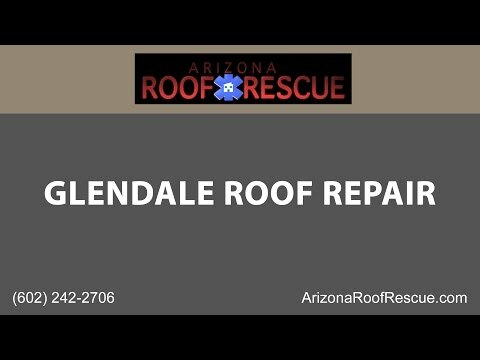 Arizona Roof Rescue is a roofing company that provides full roofing services such as roof repairs, roof installation, roof maintenance, and more. That includes inspecting the condition of your roof’s ventilation. Arizona Roof Rescue has been in business for more than four decades and have amazing reviews on both the Better Business Bureau and Home Advisors. Contact us at 602-242-2706.